I’m currently on bit of a health kick where I’m just generally trying to eat a lot healthier, drink more water, and be a little more active. I’ve been doing this for a little while now and I’m really starting to feel better, I’ve even managed to control my diet coke habit, and I haven’t had one for nearly a week now. While I’ve been trying to kick my fizzy drink habit I got a bit bored drinking only water and green tea, so I went for bit of a hunt in my local Tesco to find something good for me to drink on my lunch break. 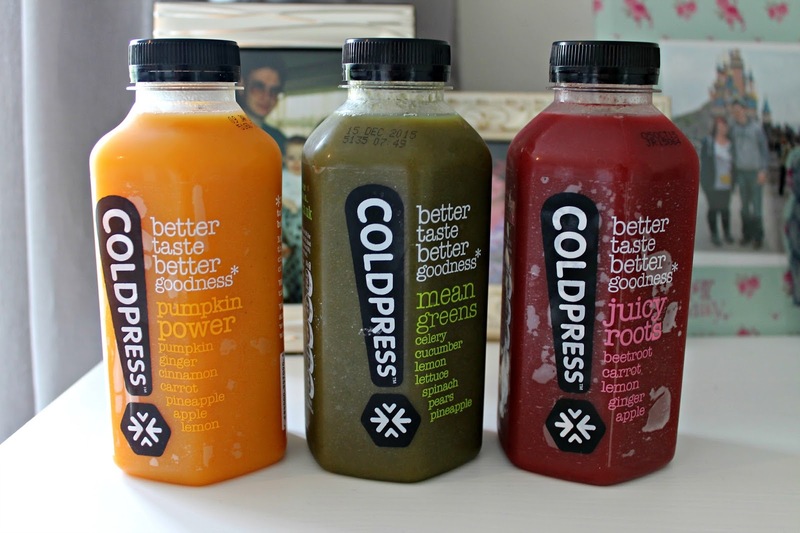 Next to the fruit juices I spotted these Coldpress veg juices and was a little intrigued. I’ve never had a veg juice before but I’ve heard that it’s really good for you, but the idea of drinking vegetables to me has always put me off. But I thought I’d give it a go, and picked up the ‘Mean Greens’ flavour to have a try. Although the colour wasn’t the most appealing, I was actually surprised at how nice the juice was, especially as it was made up of celery, cucumber, lemon, lettuce, spinach, pears, and pineapple. I think I was expecting it be really bitter, but because of the lemon, pears and pineapple it actually has bit of a sweet taste to it. After drinking my veg juice I felt really good, like I was super healthy, and had loads of energy. I loved my juice so much that I actually went back to Tesco to try out the other two flavours, ‘Pumpkin Power’ and ‘Juicy Roots’. 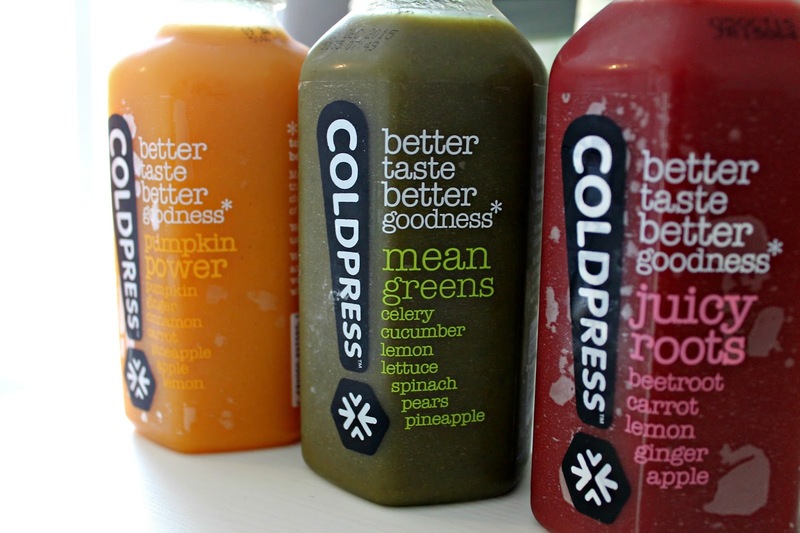 Coldpress’s veg juices are made with a cold press (clue’s in the name! ), helping to preserve the drinks without heat, meaning it keeps it’s original taste. They’re also full of goodness like vitamin C and polyphenols, making them super good for you. I think out of the three flavours my favourite is Pumpkin Power, as it tastes a little sweeter than the other two, but I really enjoy all of these. I’ve certainly been converted to veg juices, I’m even considering buying a juicer so I can make my own veg juices. What do you think of veg juices? Have you had one before? One Mince Pie Too Many This Christmas?